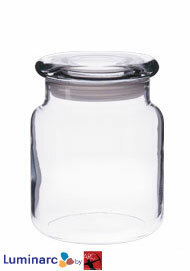 Splendids discount flat lid glass jars from Luminarc are made in America. 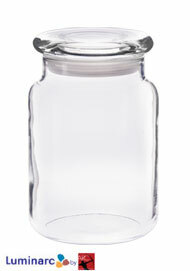 When you buy wholesale glass jars from Splendids, you save 40-50% by purchasing direct from the manufacturer. 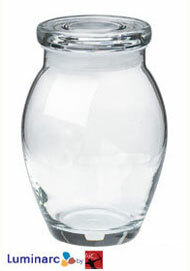 These high quality storage jars are perfect for candy stores, bakeries, doctor and dentist offices, restaurants or to enhance your home decor. Use these glass jars in a creative centerpiece, or fill these inexpensive candy jars with potpourri or your favorite treats to make the perfect wedding favors, party favors or holiday gifts. 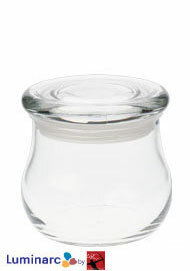 Ideal for jar candles, these American made glass jars come in a variety of shapes and sizes, including the petite 9 oz san tropez, classy 10 oz new york, small 8 oz suburbia, trendy 12 oz catalina, versatile 16 oz san tropez, traditional 16 oz suburbia, popular 17 oz new york, fashionable 18 oz catalina, decorative 22 oz twirl jar, stylish 24 oz san tropez, classic 26 oz new york, and our large 26 oz suburbia glass storage jar. 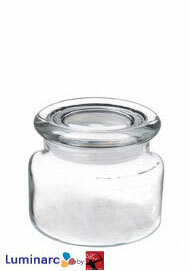 If you are looking for airtight glass storage jars to keep your treats fresh, our Luminarc flat lid glass jars are the perfect choice! 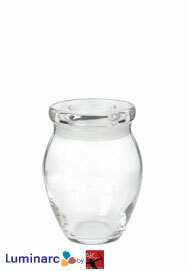 Splendids is the place for high quality discount candy jars or jars for candles.